Sadly, modern lifestyles bring forth stressors that can affect the performance of young athletes. Busy study schedules, video games, electronics, fast food, social networks and a myriad of other societal pressures have become major distractions or performance retardants to young athletes. Thankfully, parents and coaches are out there trying to find solutions to help the younger generation succeed. Is there a secret to mitigate societal influences and pressures on the young athletes, while at the same time keeping them healthy? Yes! 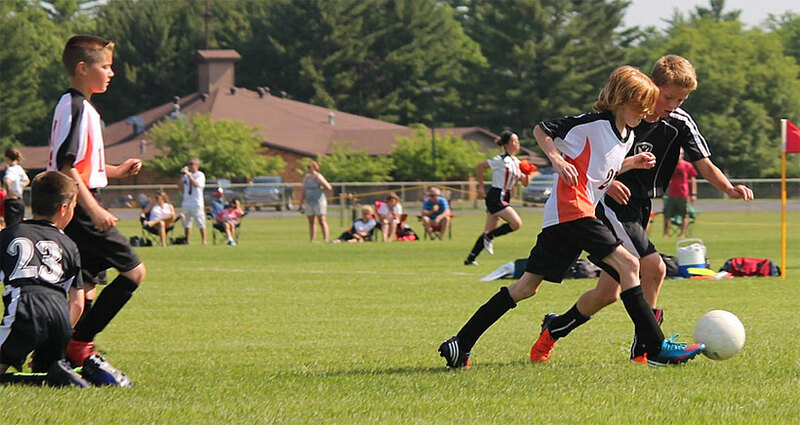 Here are five ways child athletes can increase performance. With smartphones in their hands all the time, long hours of commuting to and from school and school timetables bloated at all times, adolescent athletes no longer have enough hours in a day to do all chores, have fun, and sleep sufficiently. While the widely accepted sleeping duration is supposed to be 8 hours, youngsters aged between 10 and 18 are advised to stay in bed a little longer, uninterrupted sleeping time of 9.25 hours. Yet, modern adolescents gets a mere 6 to 7 hours of sleep every night. Sleep deprivation is as disadvantageous to youngsters as it is in adults. Grouchiness, memory problems, irritation, and inactivity are the resultant effects of sleep deprivation and can negatively affect the performance of young athletes. But reduction in production of cortisol hormone is the most critical issue resulting from sleep deprivation because, for this essential hormone to be produced, one must have enough sleeping time. The cortisol hormone speeds up the recovery rate of young athletes. Low quantities of the cortisol hormone in the body, therefore, leads to slow recovery in young athletes and can as well lead to drop in the density of the bones. So how can young athletes get around the sleep deprivation problem? First, any athlete should sleep at the correct hours of the day – at night. Ensure that you sleep in a darkly lit room with minimal level of noise. Secondly, sleep for the right time duration, not less than 9 hours. Acquiring a memory mattress that is comfortable enough to keep your body free from stress can be an added bonus. Always, wake up at the right time. Waking up between 5 a.m. and 7 a.m. is perfectly fine (waking up too early, say 3 or 4 a.m., no matter how early you went to bed, can interfere with your natural sleeping cycle and consequently affect your performance). Here is another setback that comes with electronics. Apparently, it has been found that kids seldom go out to play these days, thanks to electronic games on their phones. And in few instances they go out for a light exercise, they eventually resort to gluing their eyes on the flickering screens thus negating workout worth of benefits obtained during the exercise. For both reactionary and competitive purposes, youngsters are encouraged to spend more time on their legs. Of great importance to young athletes is the concept of cross training I.e. training both off-season and in-season. It also entails training in more than one sport. If a young athlete is a specialist in football, for instance, it is prudent to train in sprinting, archery, and even throw few punches in the gym with a boxing trainer. Specializing in just one sport increases the chances of suffering injuries and puts undue stress on your muscles, joints and the ligaments structure. The value of cross training can’t be emphasized enough in young athletes. Switching between physical activities helps a young athlete achieve a great state of fitness besides allowing the body to recover sufficiently. Fast foods are notorious for being instantly gratifying and readily available to young folks. It is the job of coaches and parents to persuade young athletes to shun them because such foods offer nothing worthy beside convenience. Nutrition doesn’t change much when it comes to young athletes, every food they consume should be aplenty with proteins, carbohydrates, fats, and vitamins in just the right quantities. Fast foods too contain these essential components but the cocktails of additives and flavorings added in them makes them undesirable. Ponder over this: up to 70% of our bodies consists of water. Besides, young athletes, just like anyone else undergoing strenuous workout, needs huge quantities of water to refresh their bodies and replenish fluids lost during sweating. Better yet, water contains nutrients, electrolytes, and oxygen essential for the body cells and for protecting body organs. Forget about the energy drinks and the soft drinks, only cold, pure and clean water should be used by young athletes if good performance is to be achieved. Just 8 glasses of water is enough for a typical young individual, but young athletes may need more glasses preferably 9 glasses of water. A great way of measuring your water intake is to take up to 10 ounces of water for every 15 to 20 minutes of exercise. Hot seasons will require higher water intake. Sports drinks have been made with athletes in mind, therefore, they can be used in place of water to supply the body with the right amount of electrolytes. Planning works like magic and it is prudent for any young athlete, together with the coach, to schedule the workout and exercising regimes in manageable time slots. The best time to do training is early in the mornings before the blistering sun rises. So concentrating much of the activities in the hours ranging between 5 AM and 9 AM can be great. The evenings between 4 PM and 7 PM is perfect as well. Following the above tips can guarantee any young athlete a breakthrough in whichever sport of interest. The most valuable of all, however, is discipline and dedication to the sport. Doing what you love is known to produce remarkable success.